Curiosity is the largest, most capable rover ever to be sent to Mars. The size of a small SUV and the height of a professional basketball player, it can roll over rocks that are almost 1 m (~2.5 ft) tall. up to 73 cm (29 in) tall. 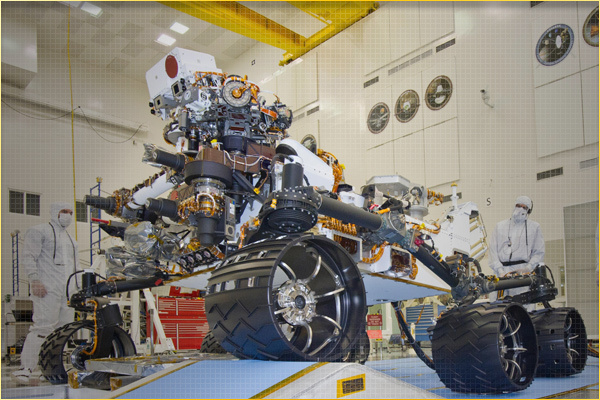 The two front and back wheels have their own motors, which allow the rover to turn in a complete circle when directed. Curiosity is designed to withstand slopes up to 45°, though its hazard avoidance software keeps it from exceeding 30° tilts. The Curiosity rover will be able to operate continuously on the Martian surface for at least a full Martian year (687 Earth days) thanks to its radioisotope power generator. Each of these aspects have allowed Curiosity's scientists and engineers to plan a traverse for the rover that would have been inaccessible to previous Martian rovers. 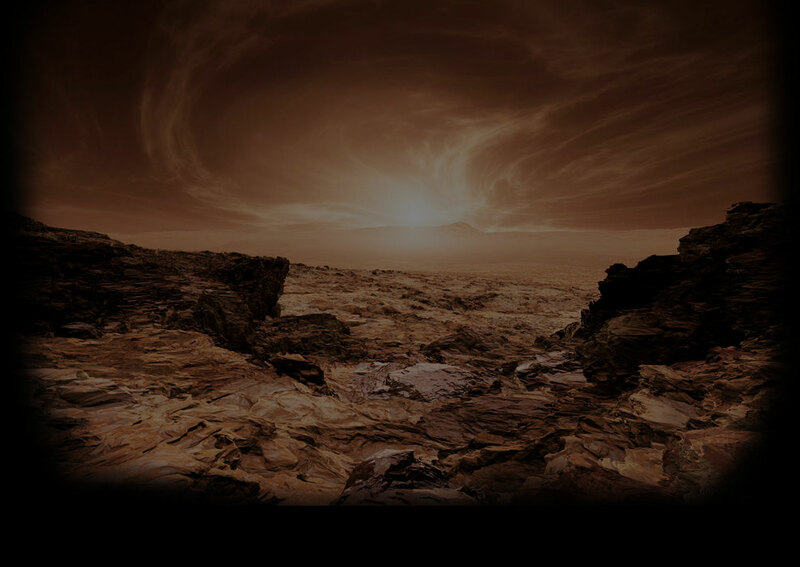 Curiosity is exploring Gale crater. Gale is a large (154 km; 95.7 mi diameter) impact crater with a tall (5 km; 3.1 mi) mountain of sediment in its center. The stack is almost three times taller than Earth's Grand Canyon is deep! 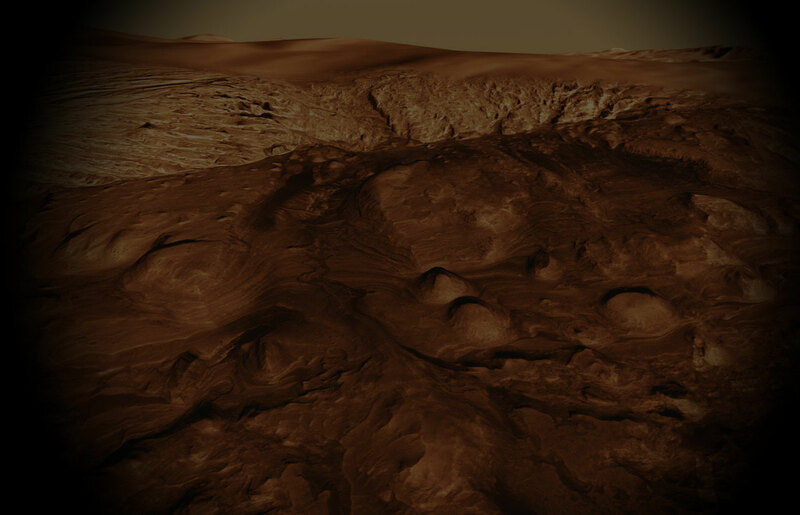 Data from orbiting spacecraft indicate that the stack is comprised of a diverse suite of rocks and minerals, with clay minerals near the bottom. Since clay minerals form in the presence of water, the area is a good place for Curiosity to look for organics. 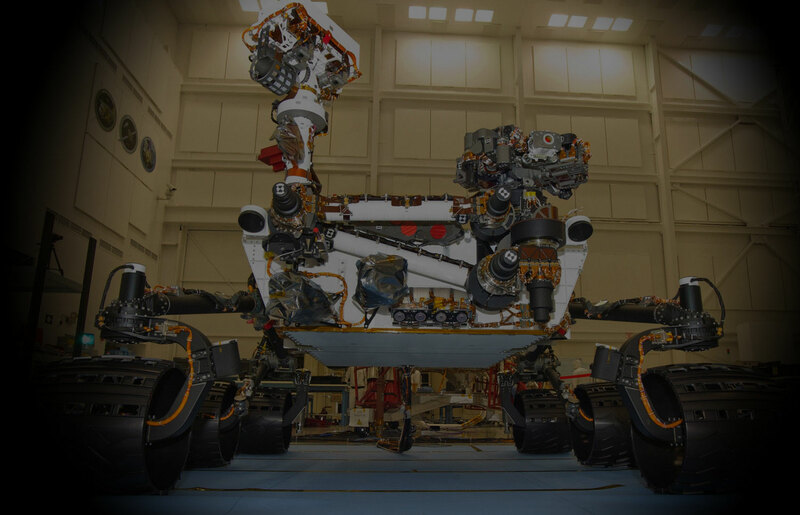 The Mars Science Laboratory Curiosity rover is a mobile laboratory that will drive across the Martian surface conducting science investigations. The goal of the mission is to assess the habitability of Mars (essentially, the ability of Mars to support life in its past or present). Doing so will also help scientists determine where to look for life on Mars in the future. 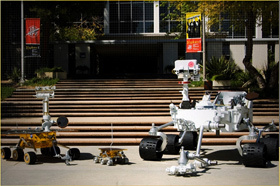 Curiosity carries ten scientific instruments, two of which were provided by Russia and Spain. 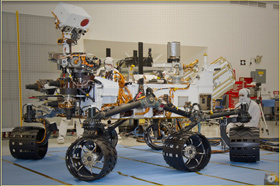 SAM – Sample Analysis at Mars (SAM) is a suite of three instruments: a gas chromatograph, a quadrupole mass spectrometer, and a tunable laser spectrometer. Together they search for and measure the abundances of carbon, oxygen, hydrogen, and nitrogen - elements that are associated with life as we know it. Learn more about SAM here. APXS – The Alpha Particle X-Ray Spectrometer (APXS) measures the abundance of elements in rocks and soils. ChemCam – The Chemistry & Camera instrument (ChemCam) uses a laser to examine the composition and texture of rocks and soils at a distance of up to 9 m (30 ft). CheMin – The Chemistry and Mineralogy instrument (CheMin) identifies and measures the abundances of different minerals, such as olivine and goethite, in rocks and soils. MastCam – The Mast Camera (MastCam) takes color videos and images, which can be stitched together to make panoramas. MAHLI – The Mars Hand Lens Imager (MAHLI) acts as a geologist's hand lens, which provides close-up views of the minerals, textures, and surfaces of nearby rocks. RAD – The Radiation Assessment Detector (RAD) measures and identifies high-energy radiation at the Martian surface, including both radiation from space and secondary radiation from the Martian surface and atmosphere. DAN – The Dynamic Albedo of Neutrons (DAN) experiment looks for escaping neutrons from the Martian surface. Slower neutrons may indicate the presence of subsurface liquid water or ice. REMS – The Rover Environmental Monitoring Station (REMS) provides daily reports on changes in air temperature, ground temperature, ultraviolet radiation, atmospheric pressure, humidity, and wind speed and direction at the rover's location. 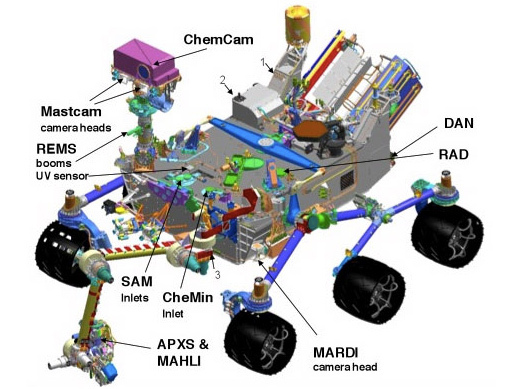 MARDI – The Mars Descent Imager (MARDI) job is to take color video of the rover's descent during landing.